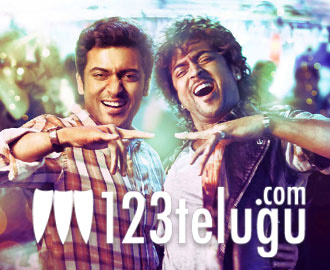 Surya’s upcoming film Brothers, the dubbed version of Maattrraan, is gearing up for its wide release on October 12. KV Anand has directed the film and Bellamkonda Suresh is producing the Telugu version. The latest news is that the film’s audio is going to be launched in a grand way on September 22. Surya will be seen as conjoined twins in this action entertainer and Kajal is playing the lead role. Most part of the film has been shot in Eastern Europe, Hyderabad and Chennai. Harris Jayaraj has composed the music. The film is currently in post production stage and recently, KV Anand locked the final edit and now the re-recording is going on in Chennai. Brothers is going to be Suriya’s biggest ever release in Andhra Pradesh and the buzz is that Bellamkonda Suresh got the distribution rights for a whopping Rs 15 crores, which is the highest ever for a Surya’s film.